We’ve seen the rise of technology & creativity hot spots such as the Baltic Triangle in Liverpool or Shoreditch in London but we have a vibrant centre of activity on the Wirral, albeit on a somewhat smaller scale. 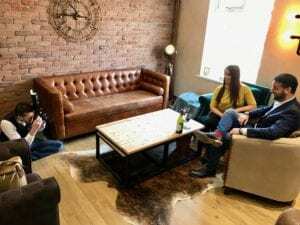 Whitfield Business Hub has evolved into a thriving hive of business professionals and start-ups alike, occupying the 1920’s buildings in the Northern end of Heswall. The business centre has been substantially upgraded over the last three years. 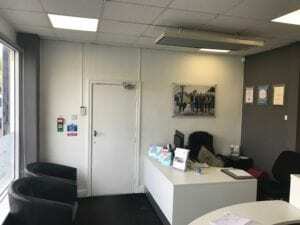 Initially there was extensive work on the building itself; upgrading to double glazing & central heating to make it more energy efficient, fitting security, fire & cctv systems to provide security and a super fast dedicated leased broadband connection with an extensive network & wifi system throughout. 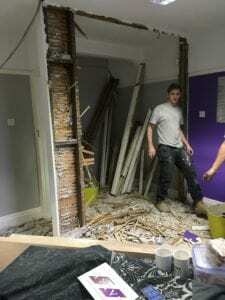 Within 24 hours, they started ripping everything out including the ceiling & floors; even the plaster was removed from the walls, exposing the brick & steel beams. A month later & the place looked completely different. 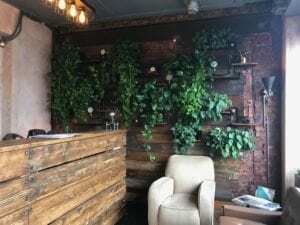 An industrial feel with a wall of plants, Edison lights and an extensive use of natural woods now gives customers a warm welcome. Motivated by this initial success, they continued though out the building. Nik said “who wants to sit in a boring office? We wanted a space that would inspire creativity, in which people would be happy to spend time.” They still have plenty to do, having just taken extended into the adjoining building on the block which they are turning into an open plan creative area, with further offices above. The rooms are serviced offices rather than leased which means that there is just one inclusive fee. There is not a long contract either, with some people staying a few weeks, some several years. It is this flexibility that attracts many start-up companies. A recent study by the BCA concluded that a traditional leased office plus expenses are 23% to 30% more expensive than a serviced office. This means that bigger companies often use them as way to control expenses & property management. 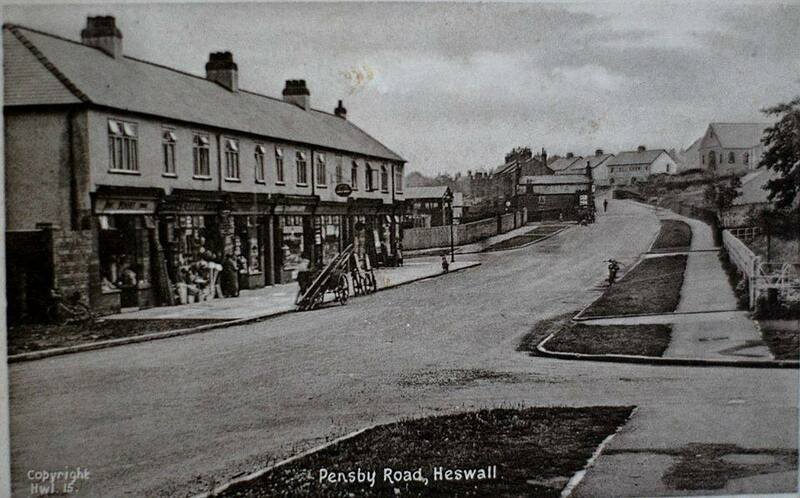 It may not be on the same scale as London or Liverpool, but for a real taste of disruptive 21st century business, head to this bustling business hub in Heswall.